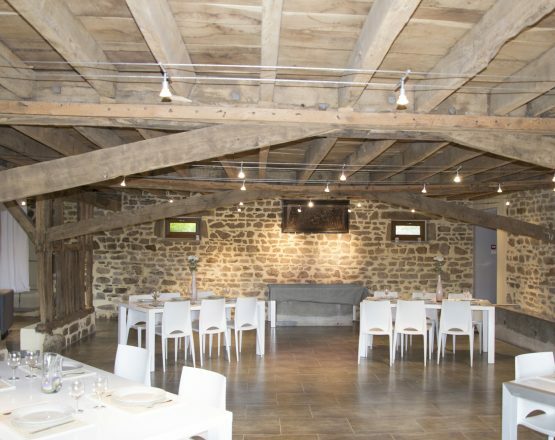 Presentation of the Domaine de La Vaupeline for Families and groups. The domaine of La Vaupeline is the ideal setting to gather your family or friends to celebrate holidays such as Christmas or New Year’s Eve, to organize a family reunion, or simply for birthday parties or other special occasions. We offer five charming cottages, which can each accommodate anywhere from two to five people. 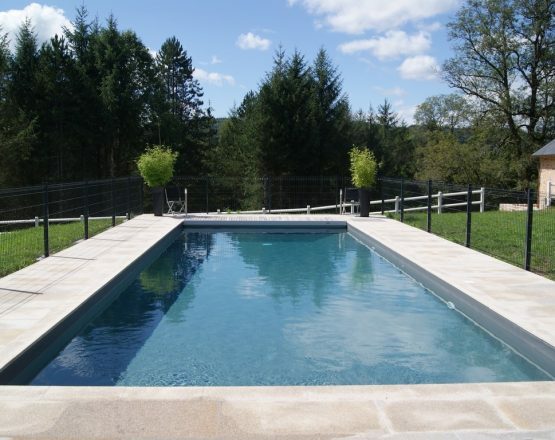 If you wish to rent the entire estate, a total of up to 25-27 people can comfortably lodge on our property. Each cottage is a separate home, but they are close enough to allow for easy interaction between guests. 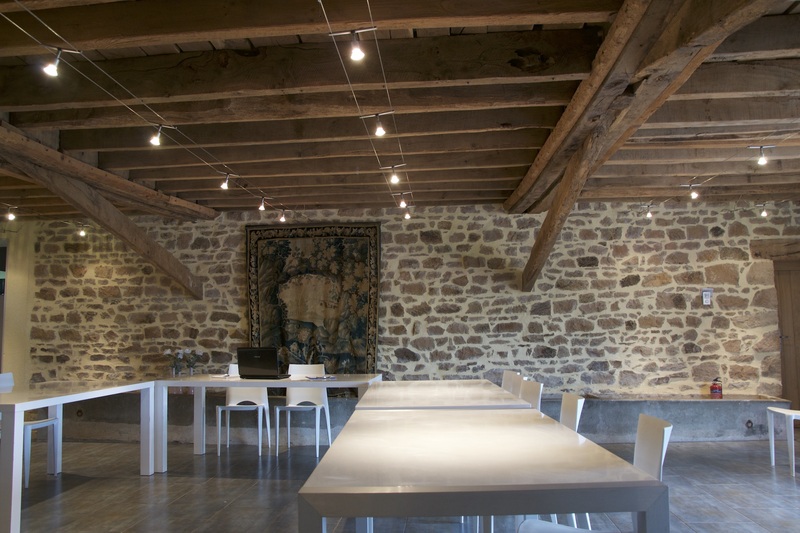 Created from an old barn, our property offers a common room of 140 m², which combines modernity and old-world charm with its exposed beams and unique architecture. This room allows large groups to gather together to socialize, mingle, and dine together. 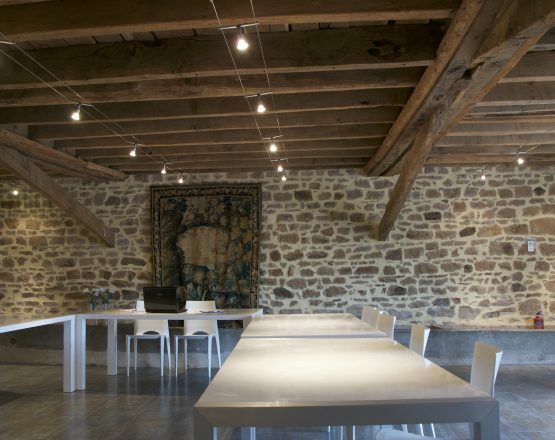 Our common room opens directly to a terrace outside of 100 m2 with a splendid view of the Creuse countryside. You may organize outdoor meals with use of the garden tables, and even an outdoor barbecue with our gas grills!! The common room features heated flooring, which creates a very pleasant and cozy environment even during winter, a true luxury we offer to our guests! 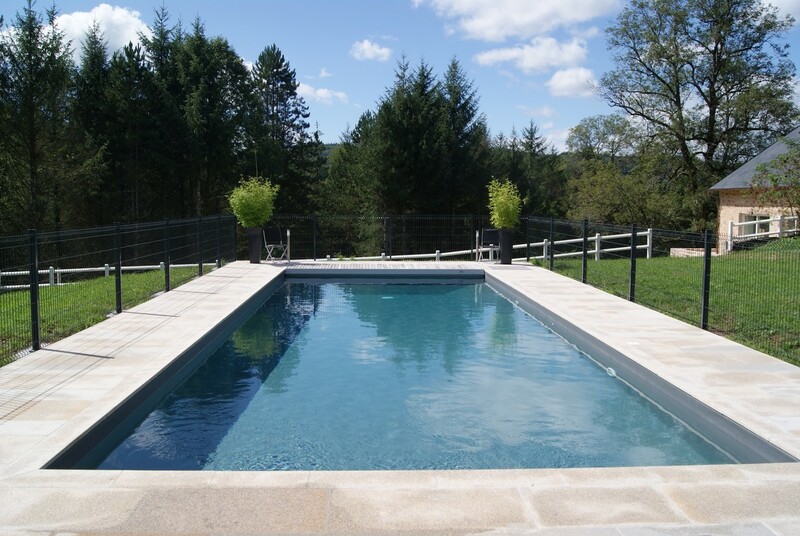 Let’s not forget our swimming pool, which is open seasonally from May to September. 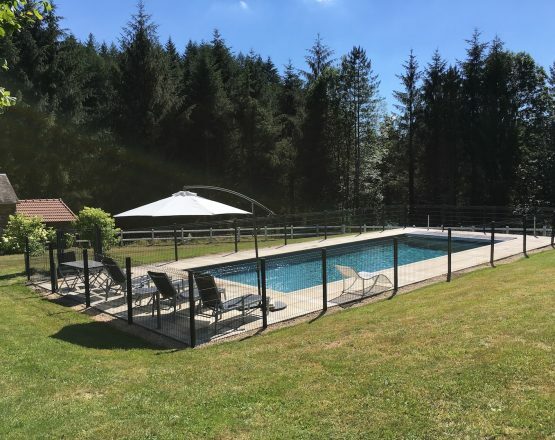 There are poolside chairs for lounging, inflatables to float in the pool, as well as toys and games for the children available…the perfect summer relaxation experience, found right in the backyard during your stay! 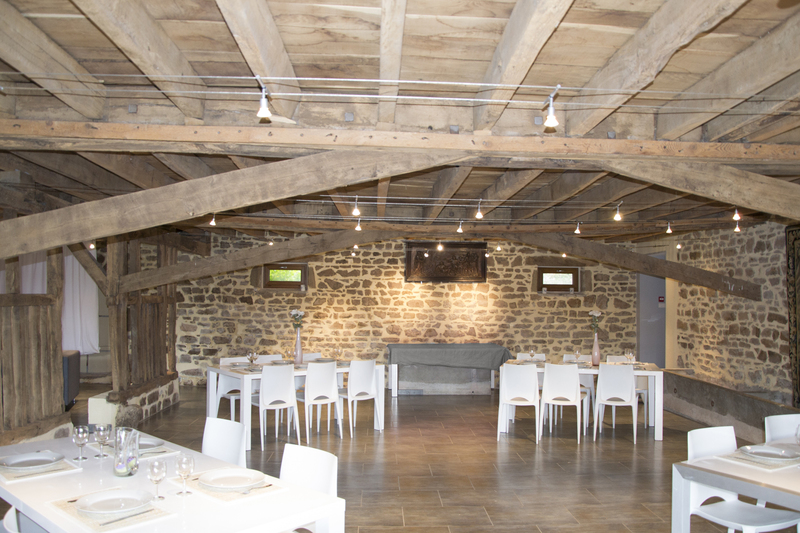 Dining options are also available during your stay at the Domaine de La Vaupeline. We offer a catering service with authentic and tasty cuisine based on local products. You have the option to choose from different menus and make reservations in advance. We can also prepare breakfasts, brunches, lunches, dinners, barbecues, etc. If you have a passion for cooking and prefer to prepare your own meals, you will find a kitchen with all the necessary equipment to do so. The kitchen is adjacent to our reception room, so you can easily prepare and enjoy your meals together in the same space. Finally, you may also elect to hire a private caterer of your choosing. There are several local catering companies in the area to consider based on your personal preferences.